September is that magic month when it’s not too hot, not tool cool to enjoy the Great Outdoors. A tasty part of this pleasure is the picnic table laden with potato salad, home style pickles, and meats smoking on the grill. Flavoring these foods and the sauces that accompany them you’ll find the seeds and leaves of dill. ‘Bouquet’ dill, a dwarf version of heirloom dill, grows only to about two and a half feet tall, blooms early, and produces large seed heads. This is the variety to plant for gardeners who make their own dill pickles. ‘Fernleaf’ dill is another compact variety that only grows to about 18 inches high. Its size plus its ornamental dark green fern-like leaves make this a good choice for container gardens. ‘Fernleaf’ dill is slow to bolt (i.e. set seed) which will provide you a longer season when fresh leaves can be picked for the kitchen. ‘Dukat’ is a more tender dill than other varieties mentioned here that grows to about two feet tall. It is grown for its blue-green foliage which can be included in salads. This variety of dill is reported to have a higher essential oil content (the substance that gives herbs their flavor) but a more mellow taste than other dills. Dill grows best in full sun with regular watering. You can start the seeds of dill in pots indoors before setting them out in your garden. However it’s much simpler to sow them in place. They will germinate easily and you won’t have the task of transplanting. In the border garden, plant dill in the rear so the tall stalks won’t hide other plants. 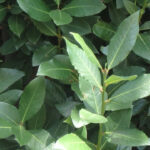 Grow it near a bay tree or other dark-leafed shrub where the finely cut leaves will provide an interesting contrast. Dill can be sown anywhere it will get full sun for healthy growth. If you want lots of fresh leaves, you may find it helpful to sow a little dill every 2-3 weeks to ensure a steady supply of the fresh leaves throughout the year. 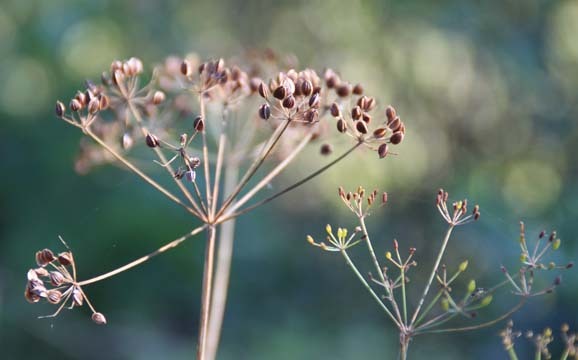 Water dill during dry periods to avoid it being over stressed and going to seed too quickly. Dill leaves are is best harvested just before use because they will wilt and lose flavor more quickly than other herbs. To use dill fresh harvest the leaves and refrigerate them with their stems in water. To dry dill leaves, clip no more than twenty 20 percent of available leaves at one time. They are best dried by laying them on a flat surface for 7-10 days. Once they become brittle, store in an airtight container. Avoid using heat to speed up the drying process as the leaves will lose too much flavor. The seeds of dill should be harvested as soon as the seed head turns brown. Clip and place them upside down in a brown paper bag. Allow the seeds to ripen for about a week before removing them from the seed head and storing in an airtight jar. In the kitchen dill plays a range of roles. Fresh leaves can be used to flavor baked fish, especially salmon. The finely chopped leaves are used in tartar sauce and other dressings. For a little variation try making tzatziki, a sauce made with Greek yogurt, cucumber, and fresh dill leaves. Chilled grain dishes made from bulgur, quinoa, or farro benefit from the fresh taste of dill. 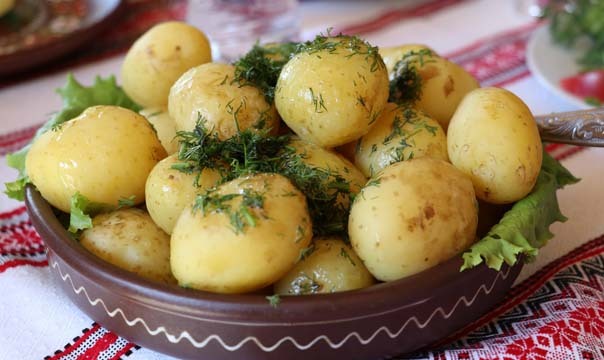 And don’t forget the indispensable flavor of dill in pickles and classic Southern potato salad. 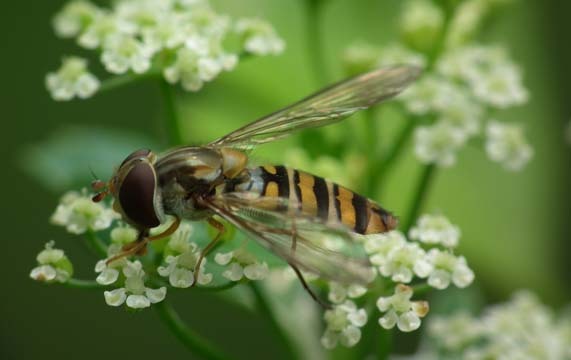 Humble though it may be, dill is good in the garden and even greater in the foods we love as part of outdoor fun.